Pay attention to the kind of jewelry she already wears. Is she more classic or modern? Does she wear more white metals or yellow gold? Do her pieces tend to be more delicate or chunky? Sleek or ornate? Have these preferences in mind when you set out to shop. If you buy something similar to what she already likes, you can’t go wrong. She will be wearing this ring every day of your married life. It will need to go with everything from jeans to evening wear. 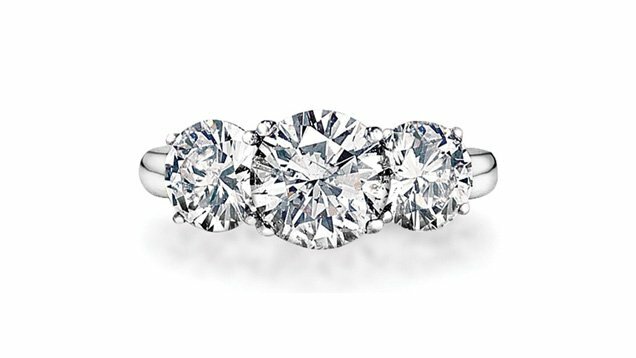 If you’re uncertain about her diamond shape preference, it’s sensible to stick to the classics, such as a round shape. It became classic because it appeals to most people most of the time. Preference in shape may be reflected in other aspects. If she prefers clean, modern lines in furniture, for example, it’s likely she’ll react well to the same aesthetic in rectangular or square shapes. If she tends towards the traditional, a round shape rarely misses. Are her tastes eclectic or bohemian? She may favor more unusual shapes, like a triangular or marquise shape. Consider her lifestyle and how well a certain setting design will fit into it. If she’s more active or outdoorsy, look for lower profile, less ornate or more secure mountings, which are less likely to get knocked against or caught on things. 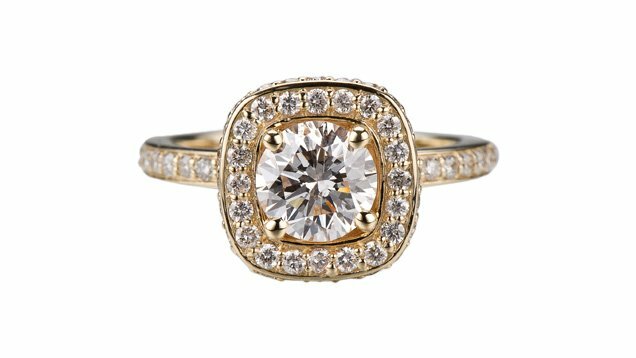 If she’s more of a glamour girl, look for statement settings, with a higher stone profile, more intricate ring detailing or a unique motif. 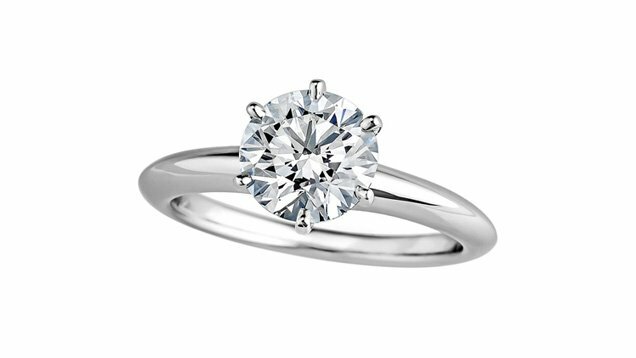 A single Diamond, with or without accent stones, is a classic choice. If prong set, the head secures the Diamond and allows the Diamond to catch the most light. There are a variety of different settings to personalize even a basic setting. A diamond engagement ring is meant to last a lifetime so it is often made of gold or platinum – highly durable metals that can withstand many decades of daily wear. Metal color is a matter of personal preference with gold providing more color options: white, yellow or rose. 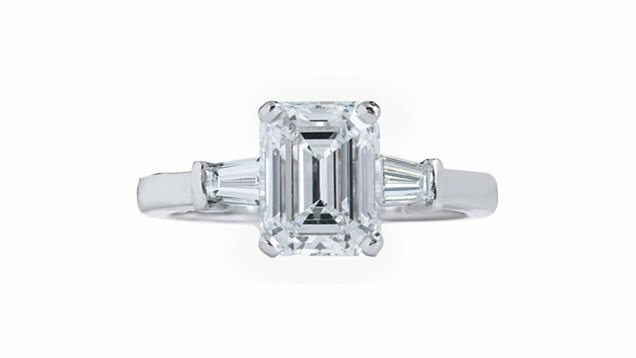 Metal color is also a consideration since the appearance of a diamond’s color is affected by its surroundings. 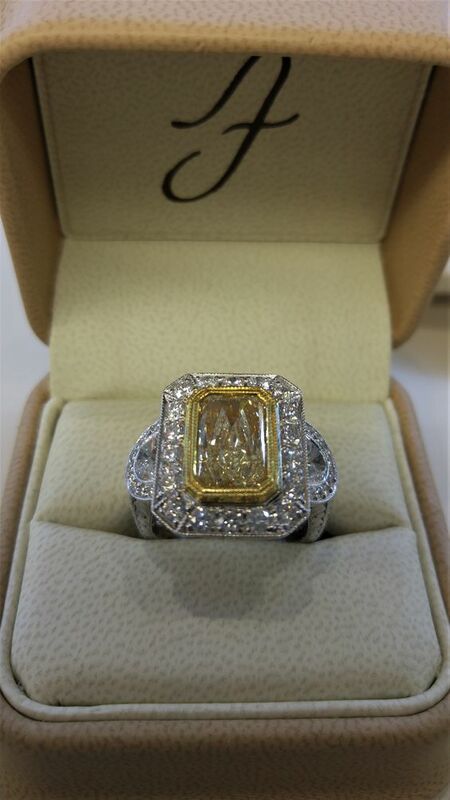 Choosing the right Jeweler is your most important decision. Knowledge and Experience are the building blocks of a successful professional relationship. Each person you meet at Abraham Joseph has a minimum of 25 years experience in the jewelry industry. The purchase of an engagement ring is an emotional milestone in your life; your Jeweler should be a professional but also a partner. What are the most important traits to a successful partnership? Honesty. Integrity. Abraham is proud that his customers trust not just his abilities as a Jeweler, but his character in both his professional and personal life. Content provided by: GIA, November 24 of 2015.